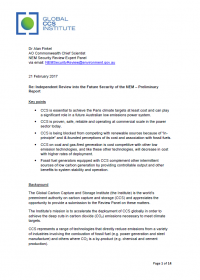 The emissions reduction trajectory used in the Finkel Review modelling, by accommodating the Australian Government’s current 2030 target, is not consistent with a 2 or 1.5 degree outcome on which the business case for large scale CCS deployment heavily depends. This is the key element of the modelling that resulted in CCS (and other technologies) not being deployed. This Institute member briefing examines this and other modelling aspects in more detail, including 2 degree compliant scenarios examined earlier by the Climate Change Authority and by CSIRO. 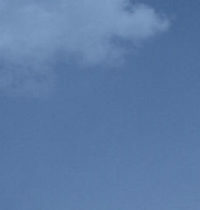 The effective implementation of the Paris Agreement under the United Nations Framework Convention on Climate Change (UNFCCC) will strongly rely on its leverage of existing institutional arrangements under both the Convention and the Kyoto Protocol, as well as the complementarity of any future arrangements. 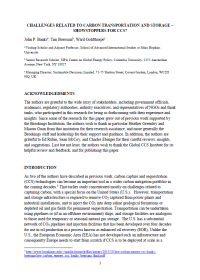 This staff paper identifies, characterises and analyses how the UNFCCC’s formal communication channels (referred to as ‘vehicles’ in the paper) used to articulate national climate action pledges and response strategies can assist the further development and deployment of carbon capture and storage (CCS) technologies. Organisation(s): Global CCS Institute, Ltd., Shaanxi Yanchang Petroleum (Group) Corp.
To promote the development of CCS in China, the Global CCS Institute and China National Development and Reform Commission (NDRC) held a joint carbon capture, utilisation and storage (CCUS) workshop in Yan’An China in July 2013. 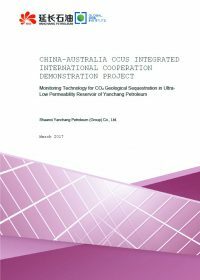 Out of this collaboration the Global CCS Institute has commissioned Yanchang Petroleum Group to produce four knowledge-sharing reports on its integrated CCS project. 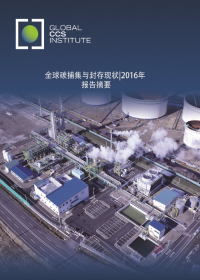 The third report of the series discusses the monitoring and verification technologies and techniques of Yanchang Petroleum CCUS Project. It highlights project achievements, lessons learned and the future monitoring workplan. 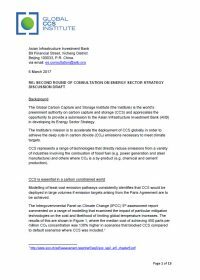 On 6 March the Institute lodged a submission to the Asian Infrastructure Investment Bank (AIIB) regarding its Energy Sector Strategy. The AIIB is a multilateral development bank which commenced operations in January 2016, with the aim of meeting the significant financing needs for infrastructure and economic development across Asia. Its Energy Strategy will be vitally important in guiding the investments of the AIIB and its financing partners across the full suite of technologies that will deliver sustainable, clean energy in the Asia region. 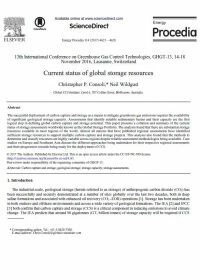 As the Institute’s submission points out, the need for CCS in developing countries is significant, owing to a likely continued dependence on fossil fuels as a pathway to economic development, combined with energy demand that is growing at a far greater pace than in developed countries. 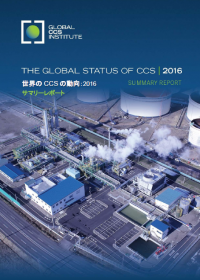 The Institute’s submission highlights prospects for CCS in several Asian countries and the work already undertaken by the Institute to improve the prospects of CCS deployment in various countries through its Capacity Development activities. 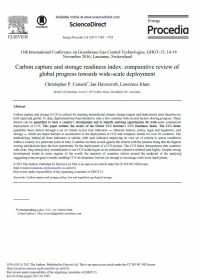 The submission also presents analysis on the co-benefits of CCS including job creation and preservation, and addressing localised pollution. In October 2016, in the wake of a major blackout in the state of South Australia, the Council of Australian Governments directed the country’s chief scientist, Dr Alan Finkel, to draft a blueprint for energy security in the National Electricity Market. Consultation on this blueprint covers a broad range of issues facing the Australian electricity market, primarily centred around how to ensure the delivery of electricity that is clean, reliable and affordable. The review is taking place during a period of heightened political and community concern over electricity price increases, the exit of traditional coal generation, increasing penetration of intermittent forms of renewable power, and high degrees of carbon and policy risk which are inhibiting investment in other much needed technologies. 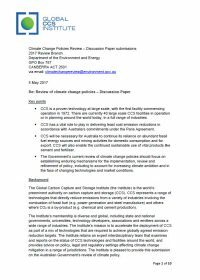 Recommendations arising from this review will factor into a broader review of Australia’s climate policy to take place over 2017. 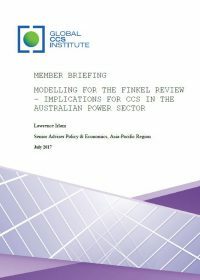 The Institute provided its submission to this review of the electricity market on 21 February 2017. 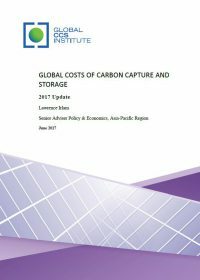 It contains analysis demonstrating that CCS is necessary among a full suite of options in achieving a low emissions power grid at least cost, that it can complement intermittent sources of renewable power, and it is cost competitive with the full range of generation and energy storage options being considered.